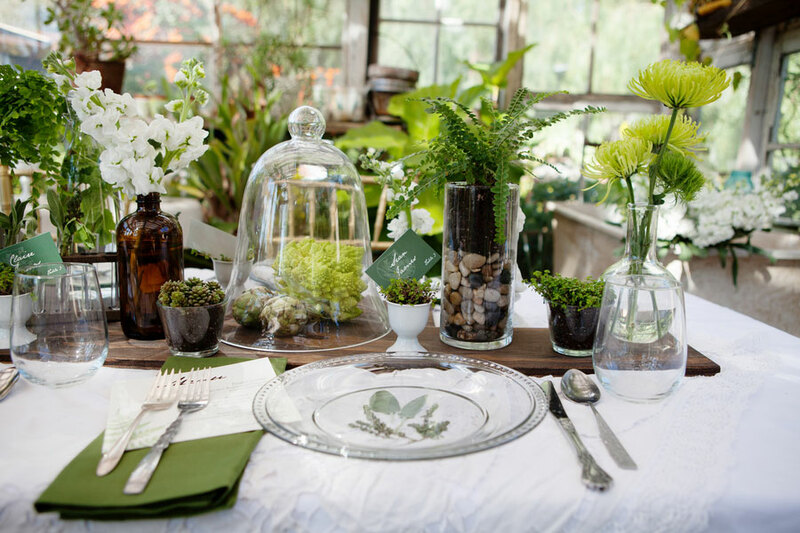 I don’t know if it is age and maturity or what, but over the last few years I have really grown to fall deeply in love with all things truly earthy, organic and well… eco-chic as I like to call it! 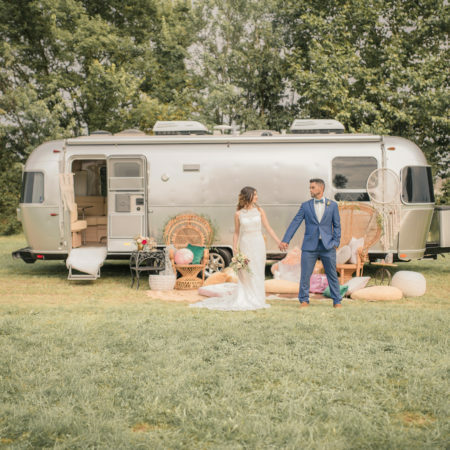 Today’s inspiration shoot is from the mind meld of Chris Wojdak Photography along with the killer stylings of Events by Elisa & Pow Wow Vintage Rentals which certainly scratches the most beautiful eco-friendly itch! 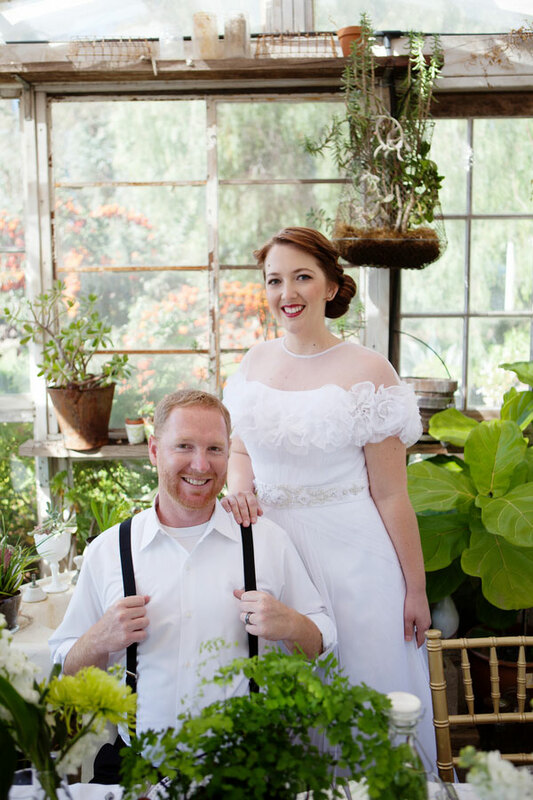 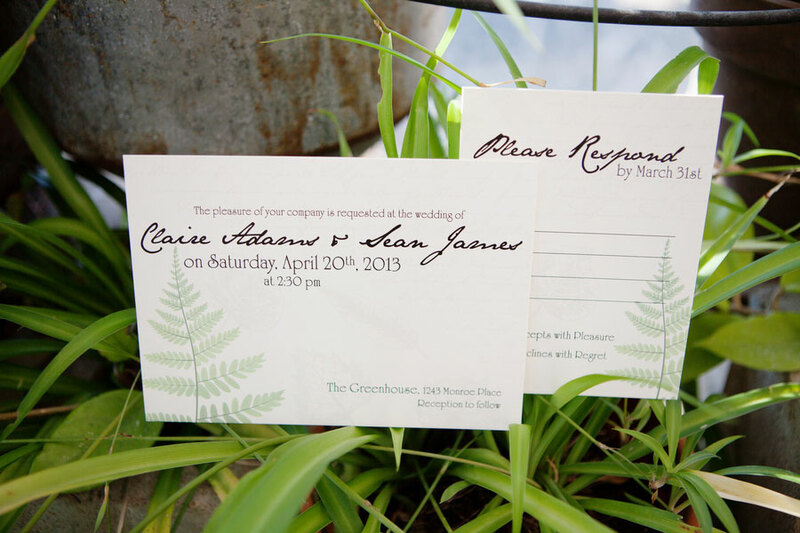 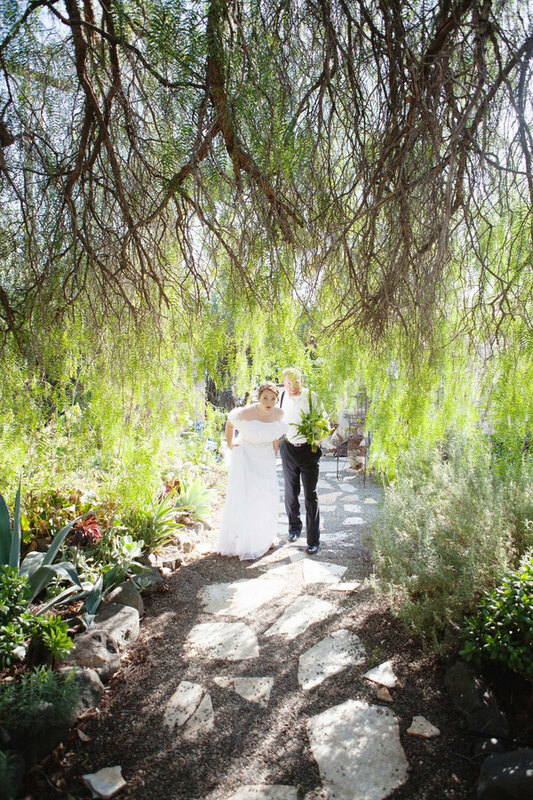 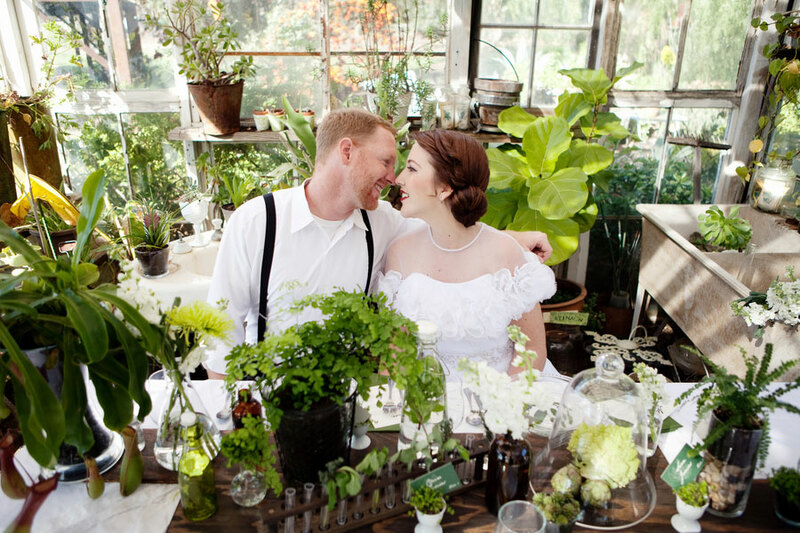 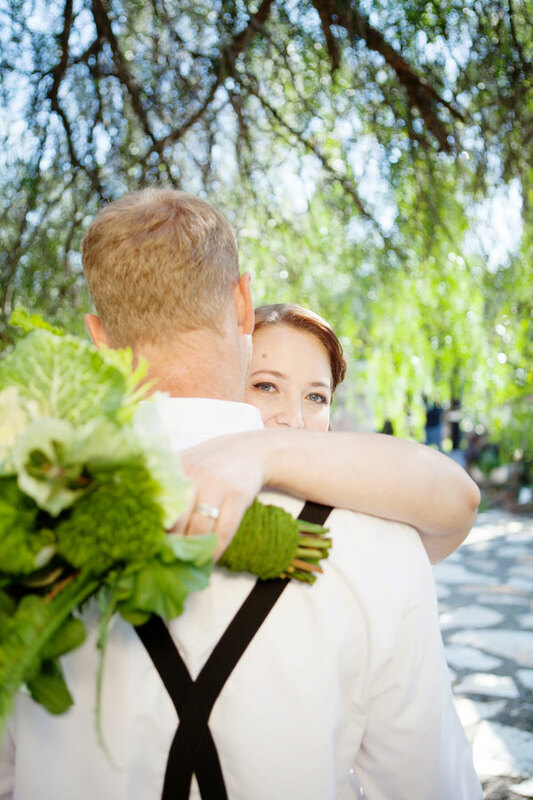 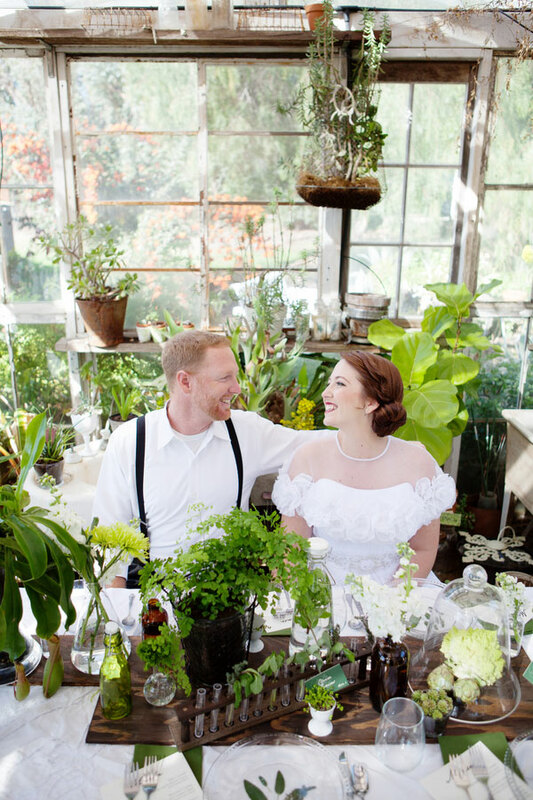 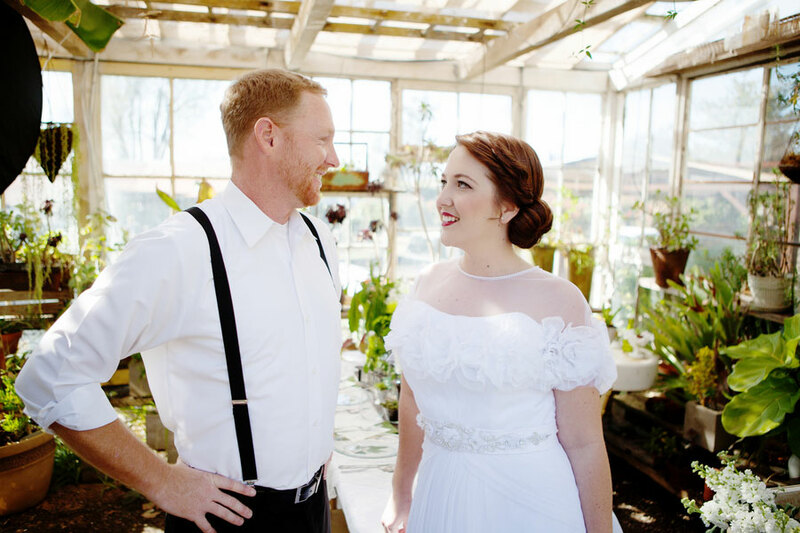 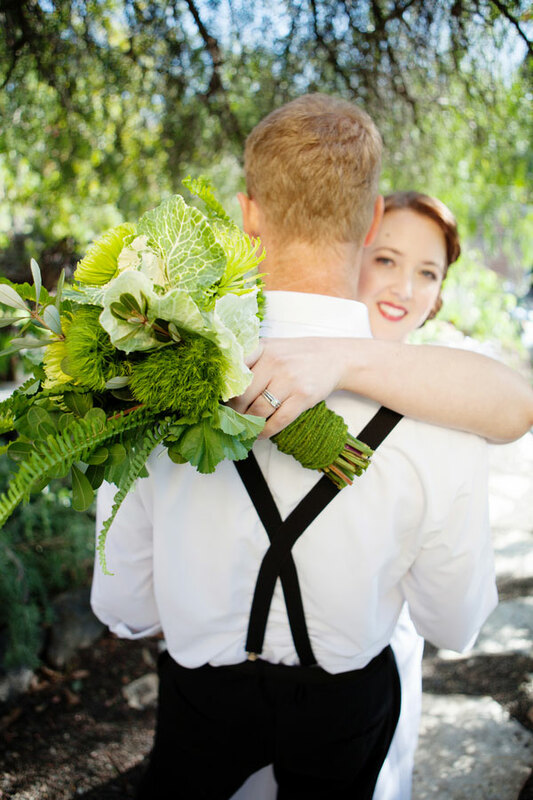 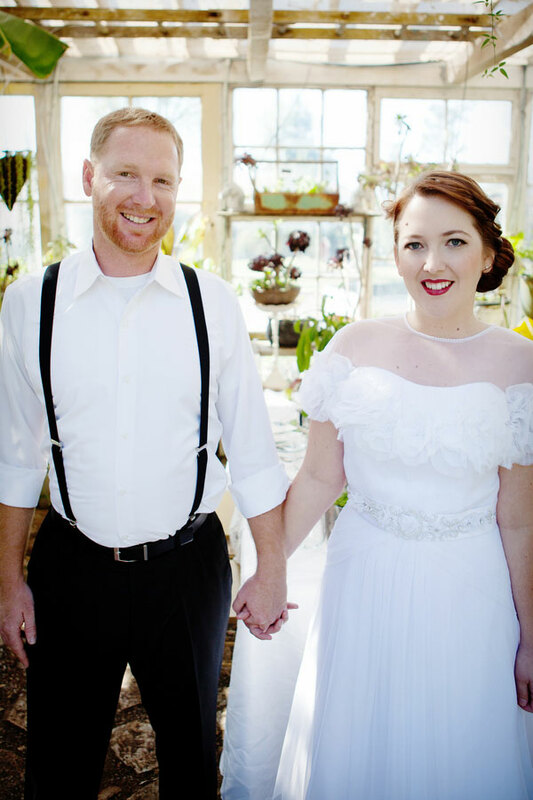 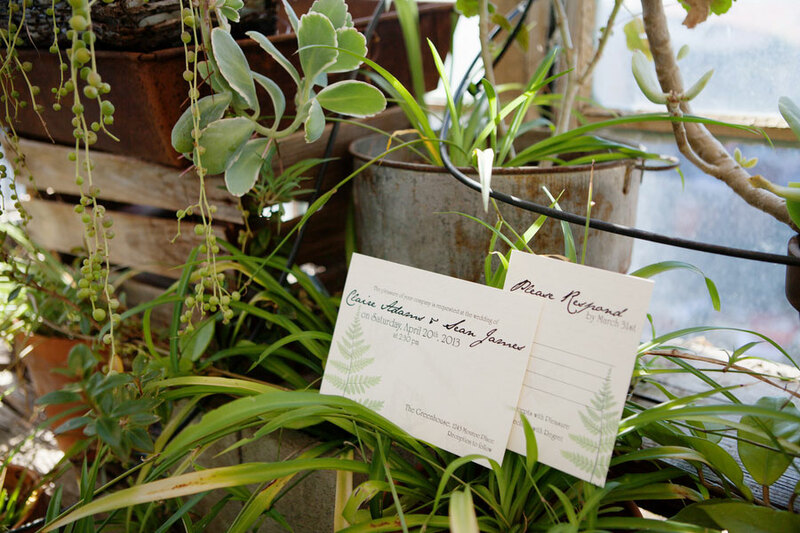 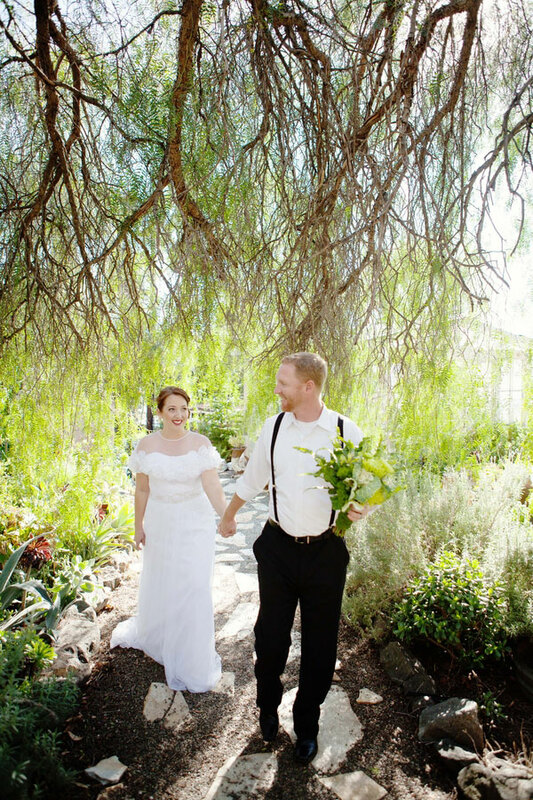 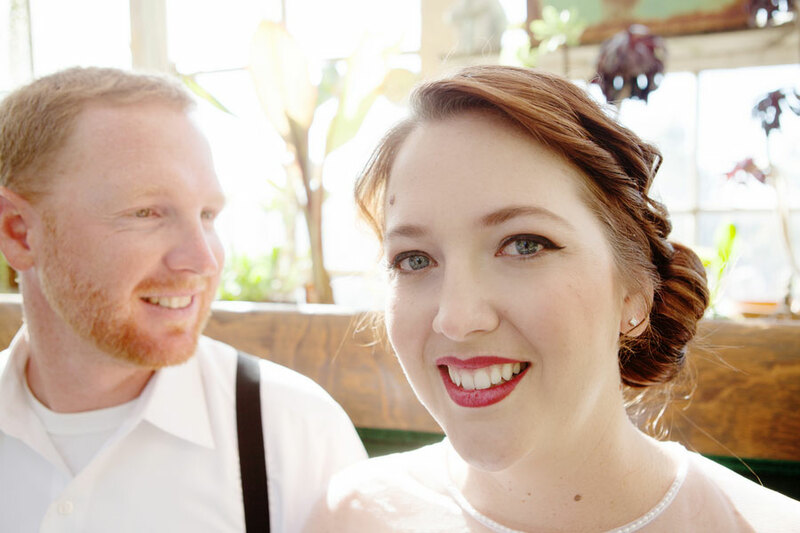 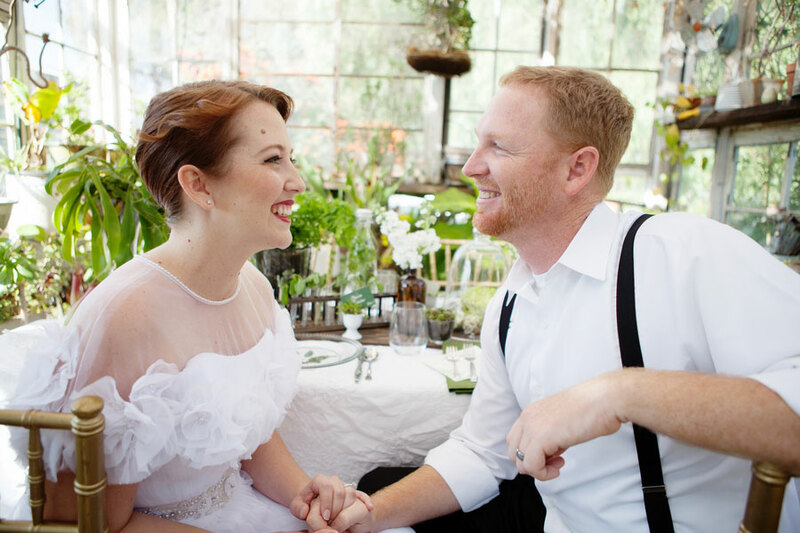 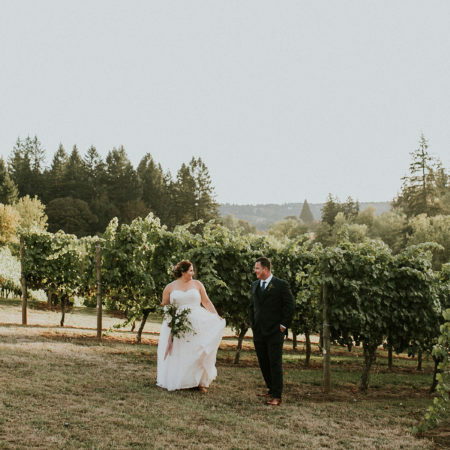 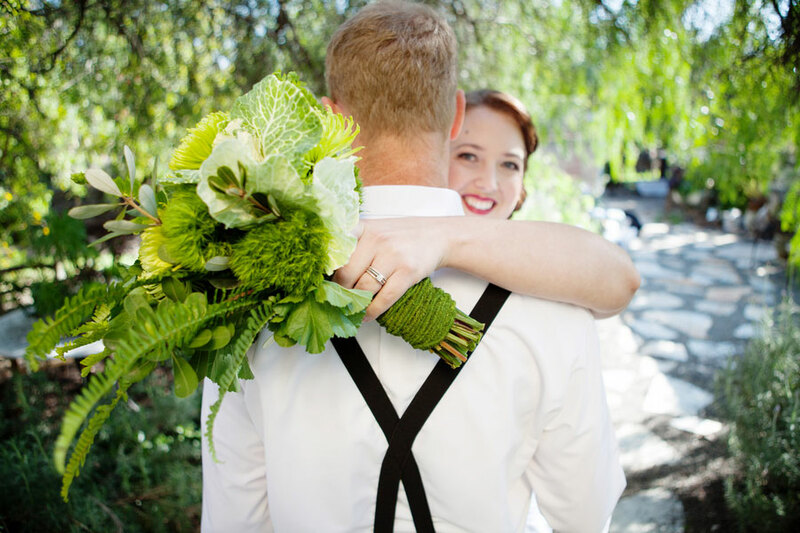 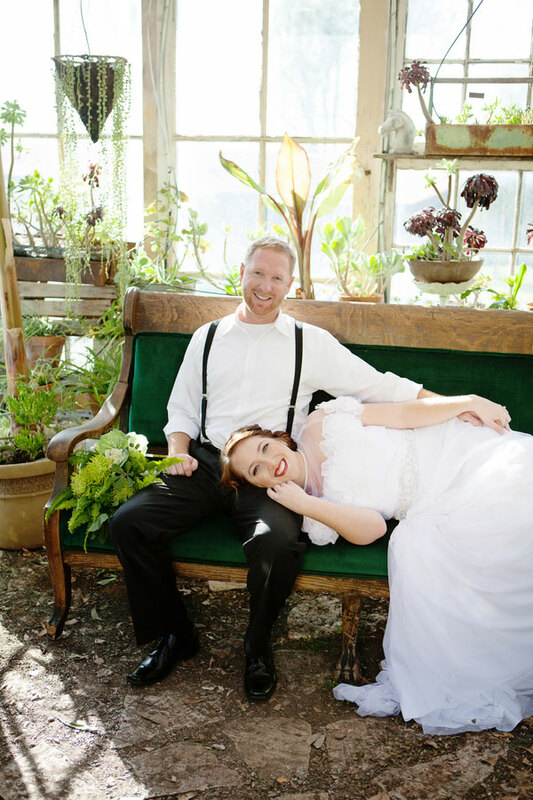 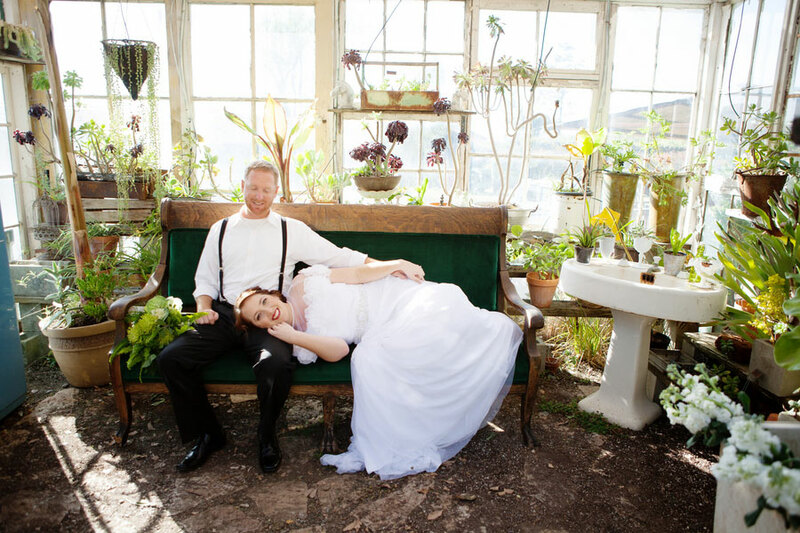 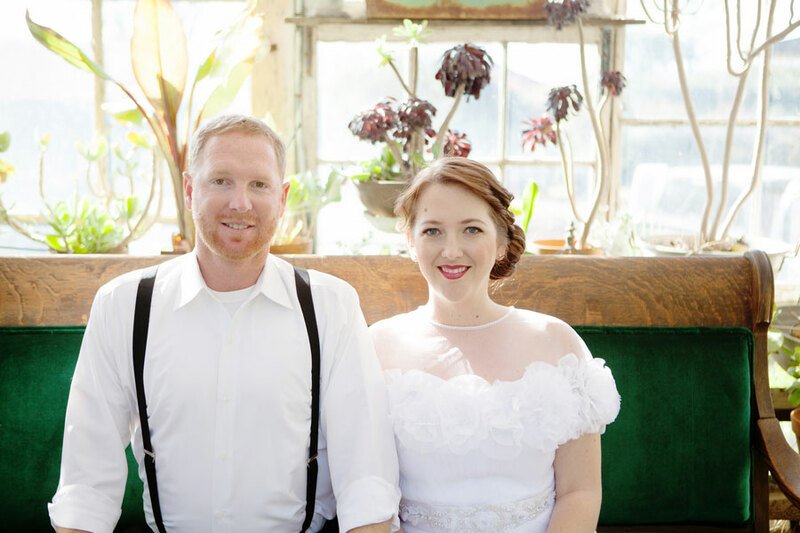 Situated in the wonderfully rustic greenhouse at The Condor’s Nest Ranch, our sweet couple hearken back to a more bygone era sampling a Victorian feel with modern styling. 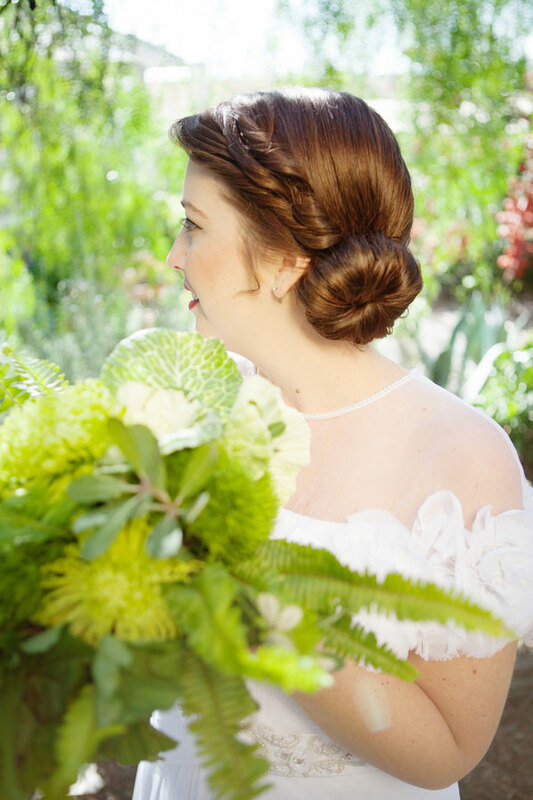 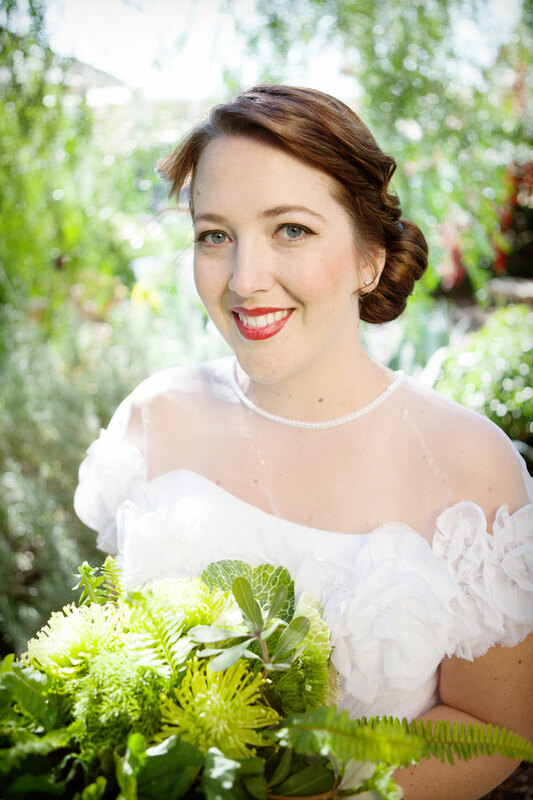 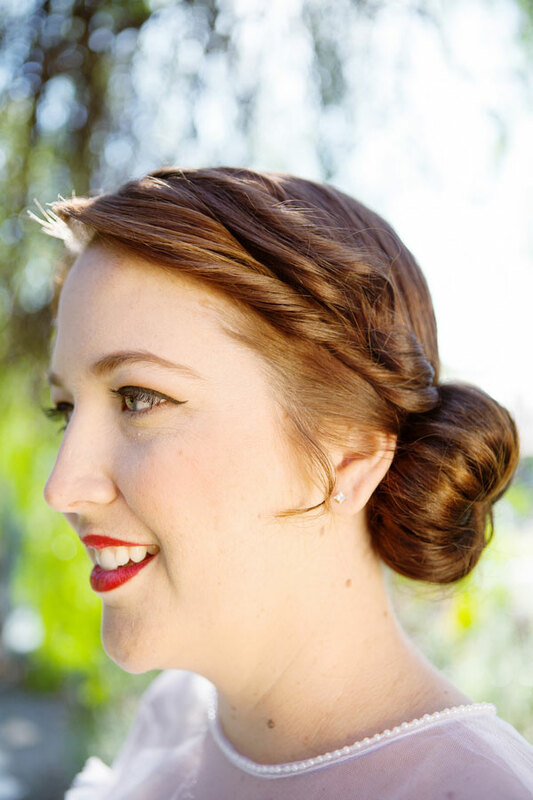 The resulting look is crisp and clean and I adore the simplicity to our bride’s twisted low swept bun! 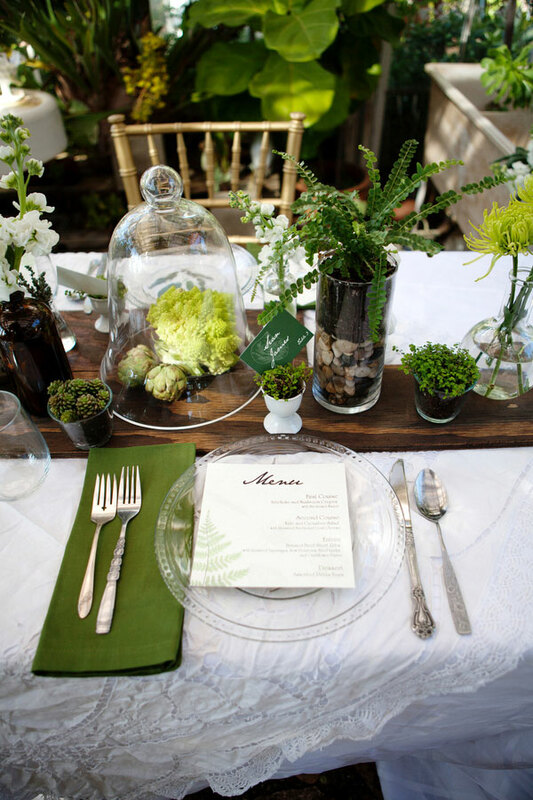 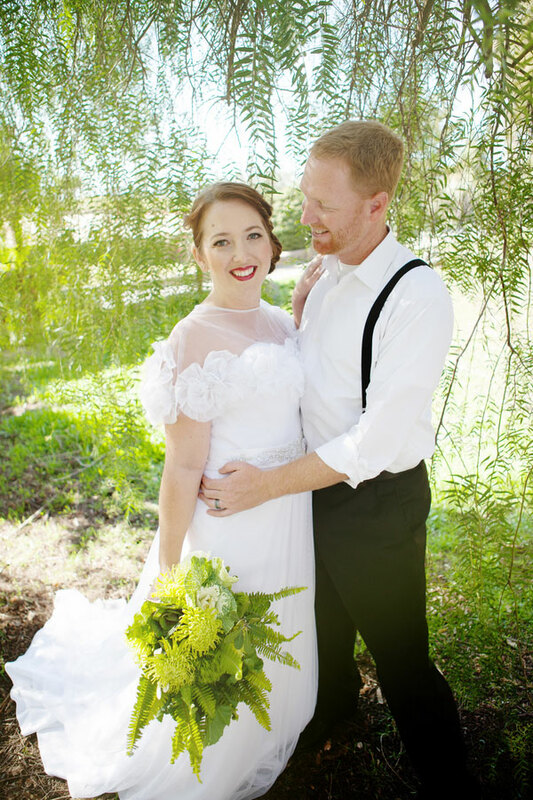 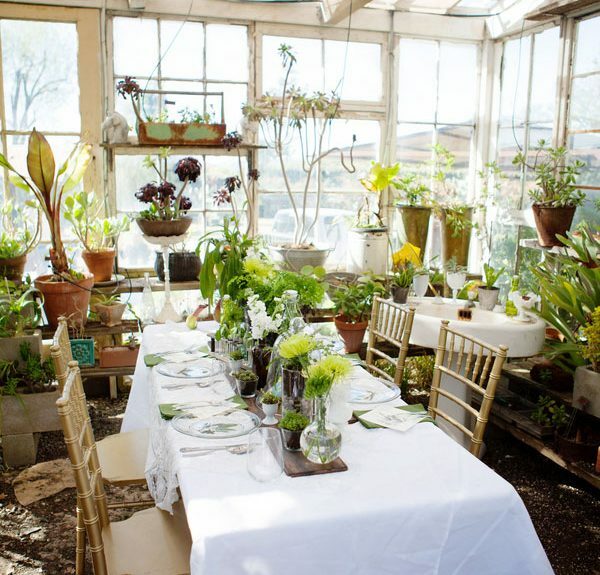 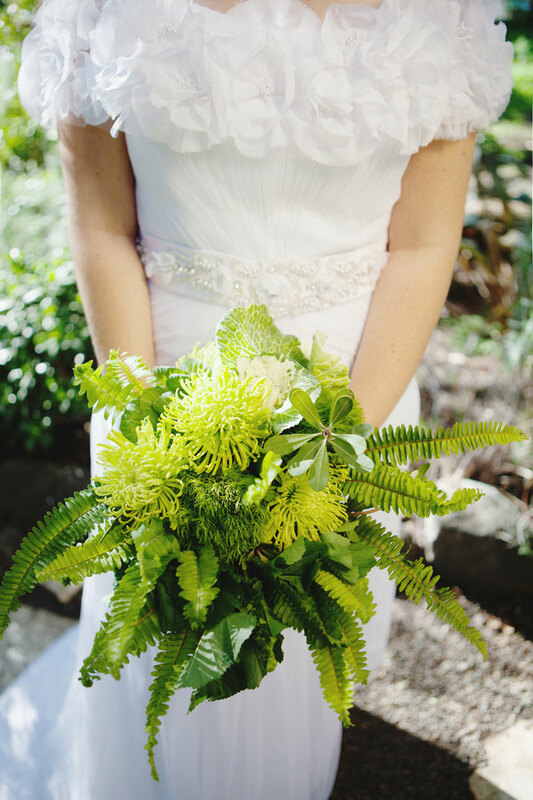 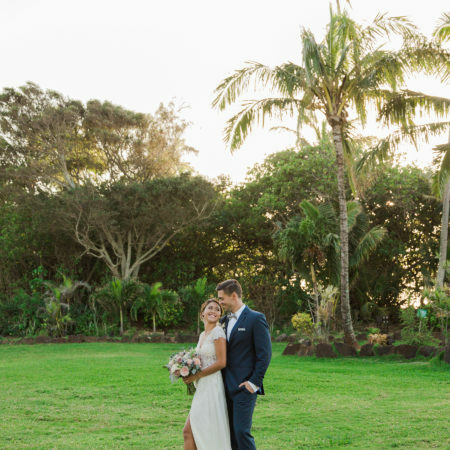 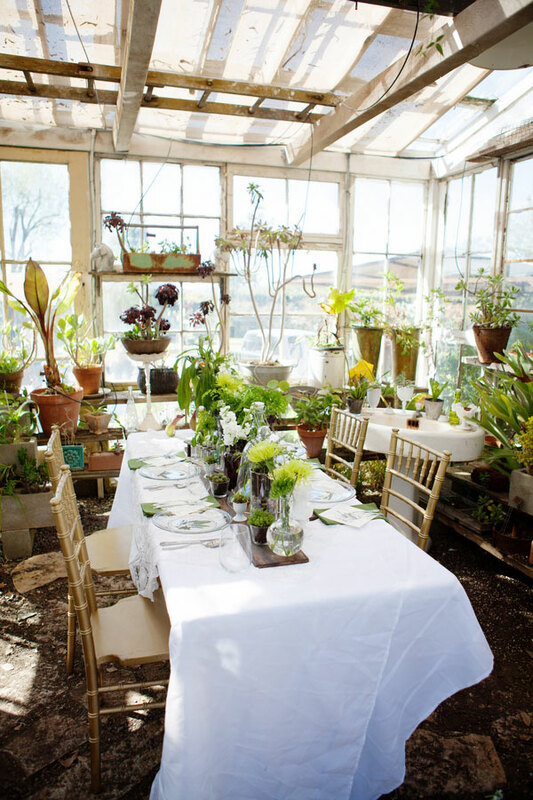 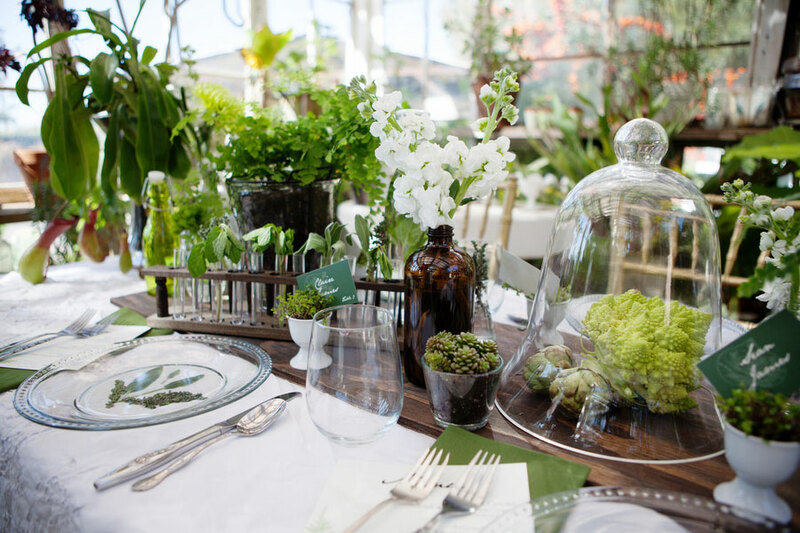 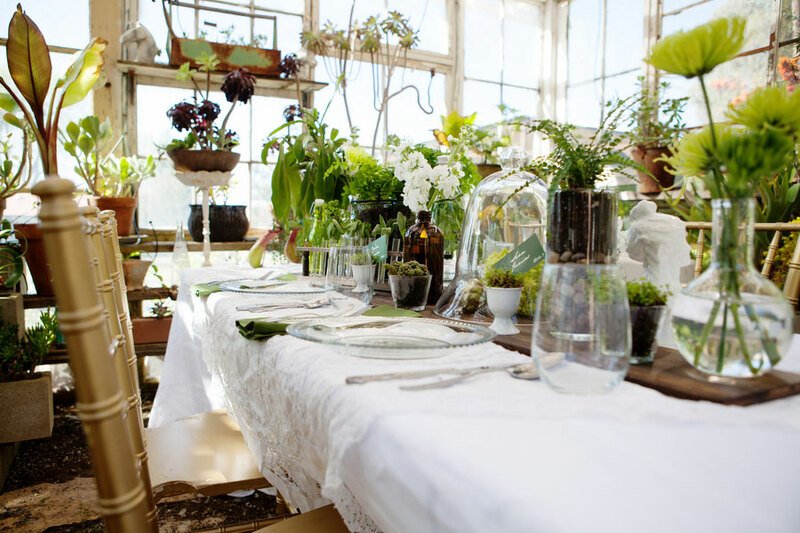 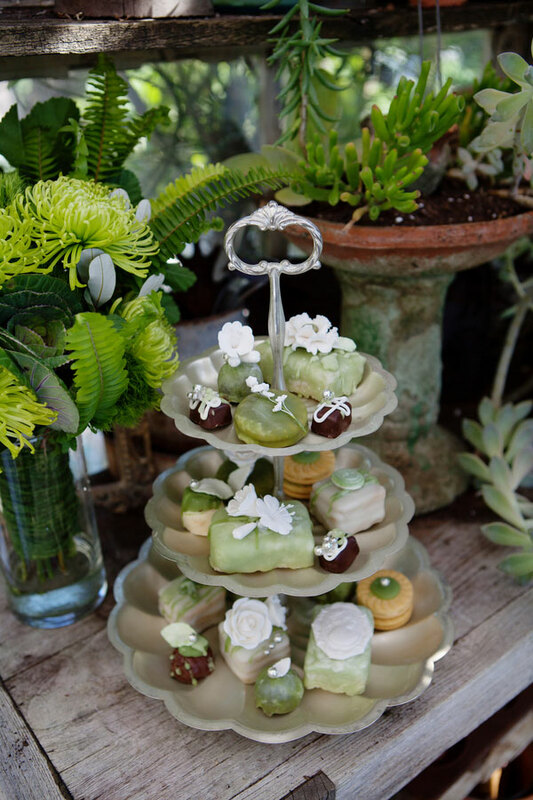 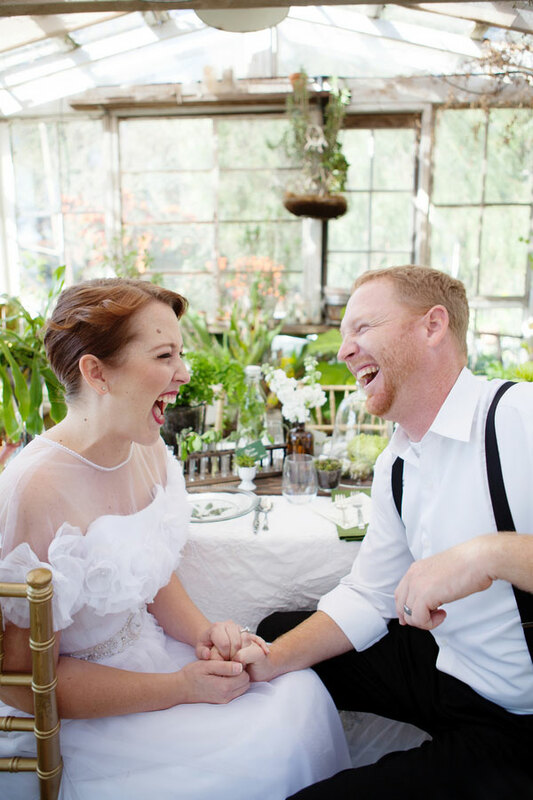 Not to down play our bride & groom, but the styling of the greenhouse fete is too divine not to dive right into! 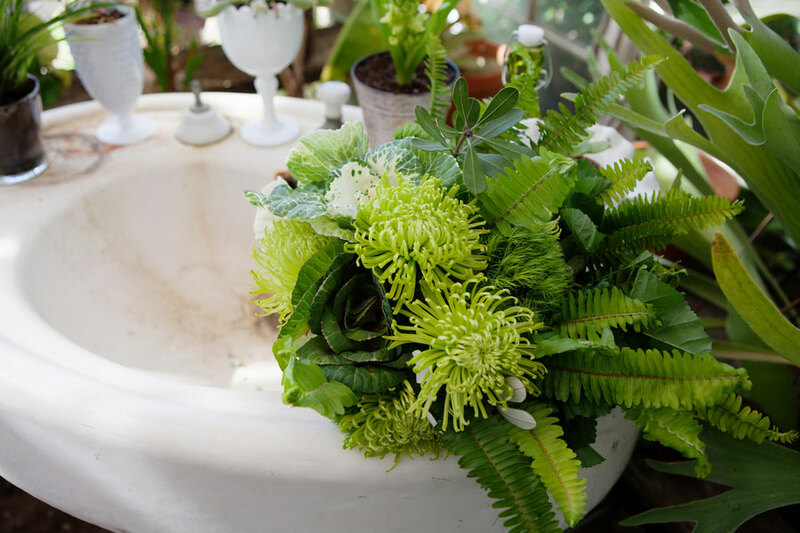 Green, green, everywhere we see is green and you know what, its so wonderfully well done, in varying hues of nature’s favorite shade, that it never seems like too much green! 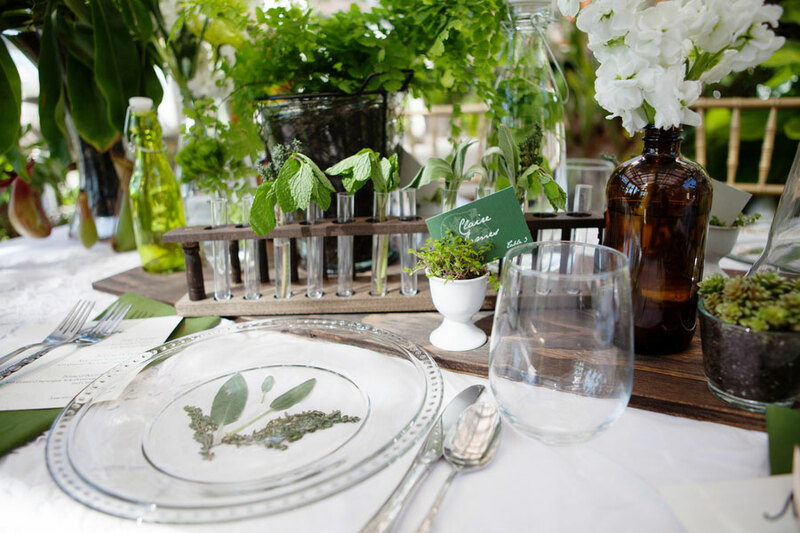 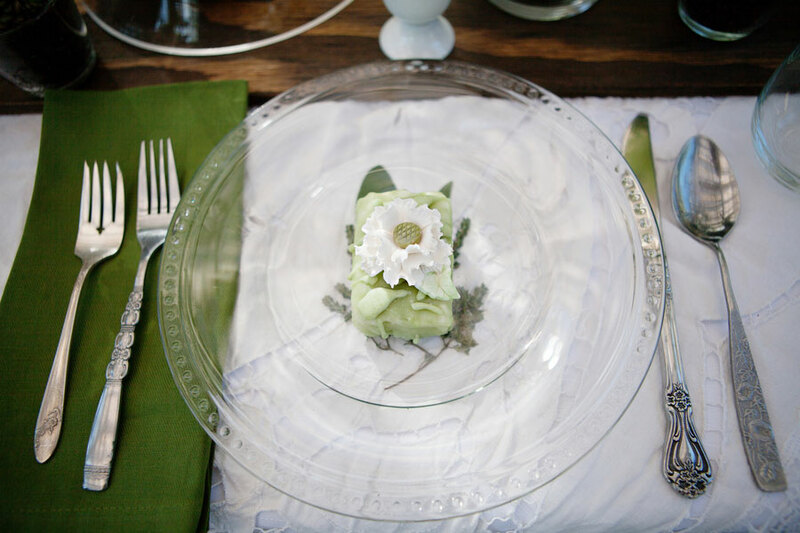 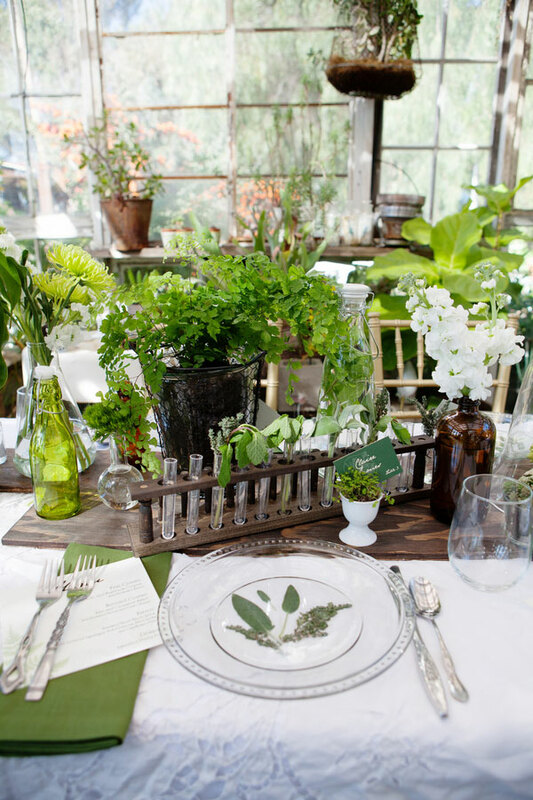 Just about every element possible got a fresh look, from a vintage pedestal sink dripping with leafy greens to a test tube rows held in vintage wood which were filled with budding mint sprigs! 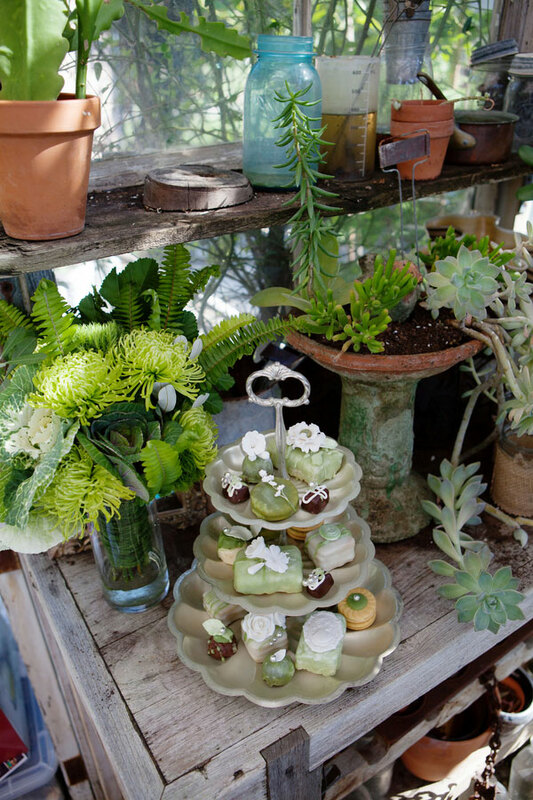 Even oddity looking things like the bright yellowy-green brainlike organic element is housed under a glass dome giving a true unique & special feel. 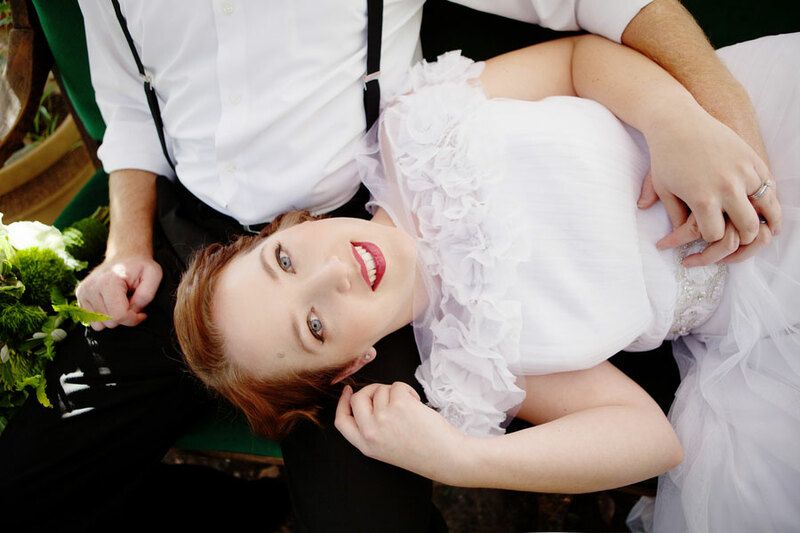 What I love the most about the overall effect is that there is a wonderful feel of polish and sophistication all the while feeling just as comfortable and relaxing! 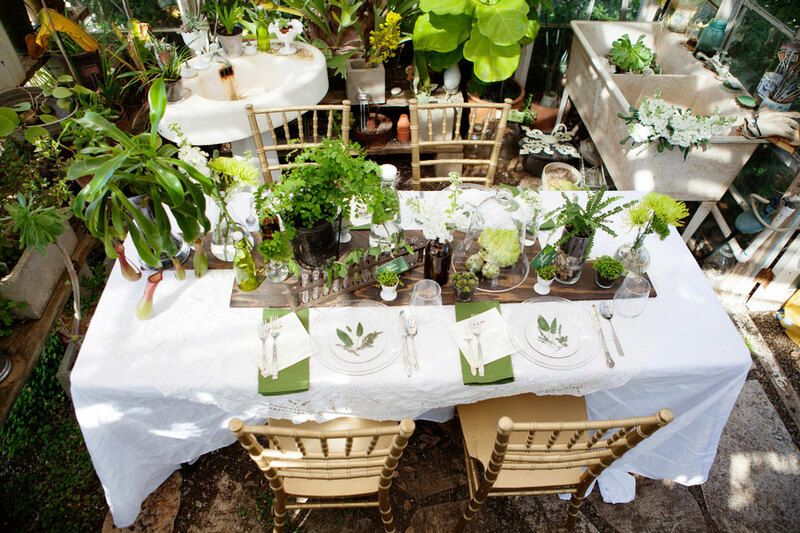 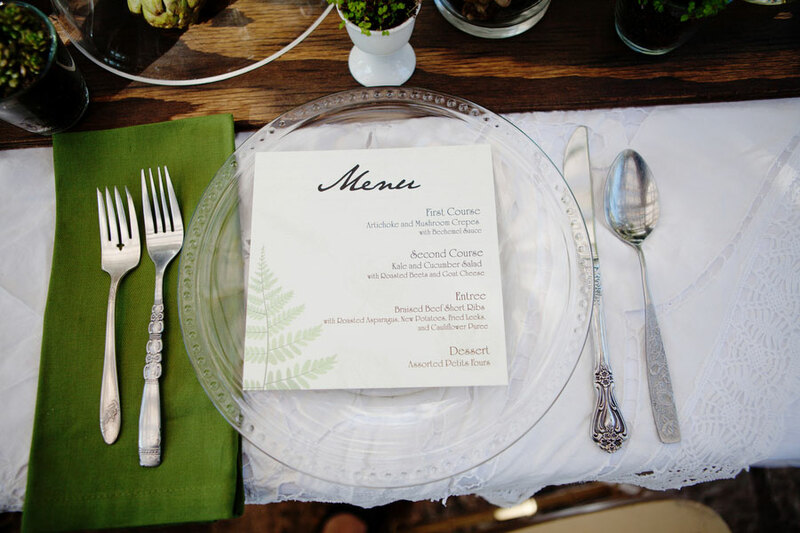 The overall look here is stunning, from the clear plates to the pop of gold in the chairs, it truly is a dream green house affair! 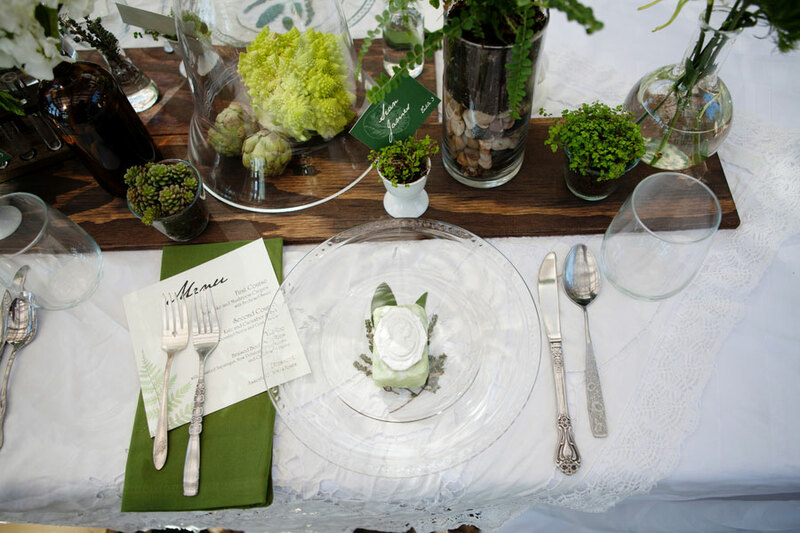 I don’t know about you guys, but I am LOVING this eco-chic movement!